rn, their organizations receive a donation from Canada’s Outdoor Farm Show. Many of these groups have volunteered at the show for years, and some have even been with us since the very first Outdoor Farm Show in 1994. Canada’s Outdoor Farm Show would like to send a huge thank you to these groups who work so hard every year to ensure the show is a success. We simply couldn’t do it without them. Here is a look at some of the long-time groups that make each show possible. on site and the shuttle service that brings attendees to and from the show site from surrounding parking lots. Al Piggot from the Burford United Church was the leader of the sanitation crew for many years. He was a popular guy on particularly hot show days, as he brought a DQ slushy machine with him and handed out cool drinks. The Lions Club, Holy Trinity Church and Masonic Lodge have all volunteered at the show for 25 years. Ben Mannen, volunteer co-ordinator for these groups says, “The show has had a beyond believable impact on these volunteer groups, and the community of Burford. It is hard to find a better fundraiser — it not only raises significant funds for these groups that go right back into the community, it is also a fun social event. I don’t have trouble finding volunteers to help at Canada’s Outdoor Farm Show.” Thank you to these Burford volunteer groups for their long term service to Canada’s Outdoor Farm Show! If you have ever been to the show, you probably recognize the Lions members that are present every year. They have been involved with the show for 25 years in different capacities. They first started tending the bar, and then moved to a food booth, and have now added catering to their list of services. They have also helped with signage and parking lot staking over the years. The Lions group volunteers every year to raise money for community projects in the Woodstock area. Eleven Lions Clubs volunteer at the show every year, and many community projects have benefited from Canada’s Outdoor Farm Show’s donation for their services. Thank you to the Lions for being an integral part of the show for the past 25 years! Paris St. Paul’s involvement in Canada’s Outdoor Farm Show started in Burford in 1994, at the very first show. 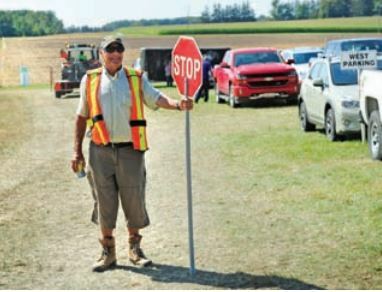 They were asked to look after the gates, as they had experience from doing this at the 1990 International Plowing Match. St. Paul’s has volunteered taking tickets at the gates ever since. One of the main reasons they volunteer at the show every year is to raise funds to supplement the Church’s ongoing ministries. It is well known in the community that St. Paul’s has volunteered at the show for many years, and they have attracted a number of community members to help rather than their own volunteers. “We find there is a great camaraderie with the teams at the various gates,” says Lorne Reid, St. Paul’s group co-ordinator. “We certainly do enjoy volunteering year after year as part of our outreach ministry of St. Paul’s.  We look forward each year to taking part in Canada’s Outdoor Farm Show”. Thank you to St. Paul’s United Church in Paris for helping to make the show a success for the past 25 years. The Woodstock Masonic Lodges and Mocha Shriners Members have been long time volunteers at Canada’s Outdoor Farm Show. For many years, Bill a nd Elaine Hawkins and Terry Simms rounded up volunteers for the show every year from these Woodstock area organizations. As the show grew larger and larger, more volunteers were needed, and members from other Southwestern Ontario centres joined with the Woodstock group. These groups have an important role at the show, as they take the lead managing traffic flow, parking, as well as pedestrian safety. Randy Henry from the Mocha Shriners Motor Corps says the donation that is given to their group for helping at the show is a tremendous help to Shriners organization. “The donation given by Canada’s Outdoor Farm Show to the Masonic Shriners organizations every year helps us to be able to provide services and transport sick children from Southwestern Ontario to Shriners Hospitals for Children. The money donated by the show has given a great boost to the Masonic and Shriners organizations,” says Henry. “Masons and Shriners are all about the community and especially kids, and the Canada’s Outdoor Farm Show donation helps us to assist our local masonic causes and these children.” Thank you to the Woodstock Masonic Lodges and Shriners Organizations for volunteering at the show for so many years. Holy Family Catholic French Immersion School (HFCFI) has been a long time active volunteer group at the show. Carrie Kenny, the school’s volunteer co-ordinator for the show says, “It is my understanding that a board member for COFS was married to a teacher at our school and that’s how the volunteer fundraiser began for us. It is our largest parent council fundraiser for the year.” The volunteers from the school man the gates to the show and greet the visitors entering the show, check and offer hand stamps, take tickets, provide directions, hand out maps and FCC shopping bags, help traffic control and maintain attendee safety. The school relies on over 63 volunteers every year ranging from parents, extended family members and graduated students looking for volunteer hours to man and monitor the 7 gates to the show. Carrie Kenny says, “We have been at the gates through hot and cold, sun, rain, wind, even tornado warnings when we have had to seek shelter in the out buildings over the years, but we feel very fortunate and are thankful to have this opportunity for our school. It is so unique and fun compared to other popular school fundraisers.” The donation from Canada’s Outdoor Farm Show to the scho ol parent council goes towards enrichment and recreational activities for students and families at the school. “Some examples include funding chess lessons by a chess master starting in Grade 2 through to Grade 8, purchasing smart TV’s and iPads/Chromebooks for classrooms, providing information nights for families with presentations on internet safety and anti-bullying, and fun movie nights in our gym showing a newer released movie. We have also had a carnival day at Goff Hall and have had a soccer day at Cowan Park. All of these activities help promote a sense of strong school family/community and allow us to provide the children with up-todate technology in the classroom to aid in their education,” says Carrie Kenny. Thank you to Holy Family Catholic French Immersion School for volunteering at the show for 25 years. Guy Duchesne’s Cookhouse has been a food vendor at the show for the past 24 years! Hailing from Eastern Ontario, this is a cookhouse that travels to the show every year to serve up their delicious fast food. Their poutine is a yearly hit at the farm show. They say that they attend the show every year because it is a big family affair, and that they are well treated and welcomed with open arms. Thank you to Guy Duchesne’s Cookhouse for attending the show year after year. We look forward to tasting your farm show poutine for many years to come!